After two years of growing seriousness in my bird watching & nature photography hobbies, I have decided to start a dedicated blog to my birding adventures and discoveries. It will likely contain a good deal of rambling about things like, well, birds for starters. And places to see birds, how I go about photographing birds, what resources I’m using to figure out just which birds they are, and various other things of that nature. There is likely to be a good share of related items popping up as well…we’ll just have to see how this all develops, won’t we? To start this whole venture off, I would like to share some regular visitors to my favorite birding location: my own yard. I am very fortunate to live in a fantastic part of Portland close to a number of large green spaces which are welcoming to feathered friends year-round. Several feeders are located around places the birds naturally frequent on my little patch of property, and the favorite of these spots is the dogwood tree. One of my frequent flyers into the yard is the Dark Eyed Junco, and almost always it is the Oregon variety. 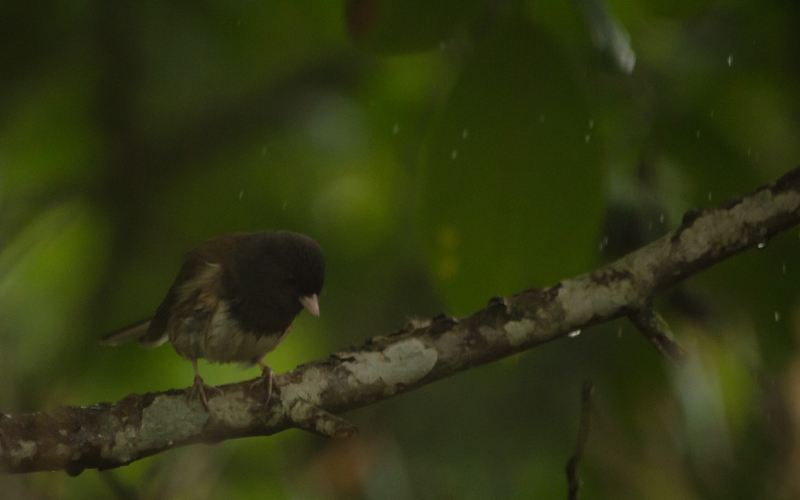 Although technically all one species, there are many color variations of dark eyed juncos. 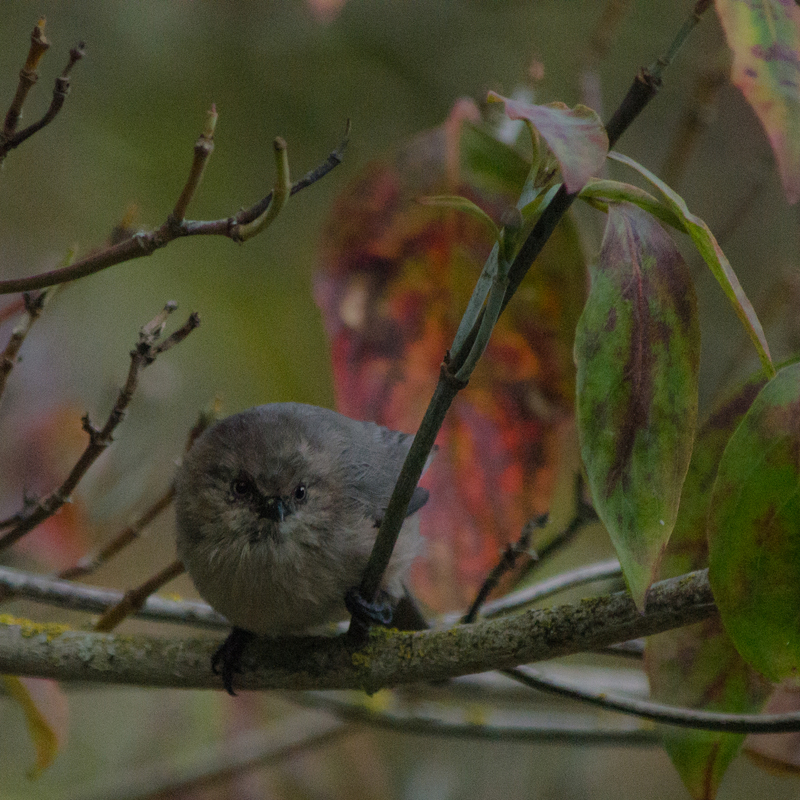 To date, I have seen one other in the yard, a Slate-colored Junco earlier this year. 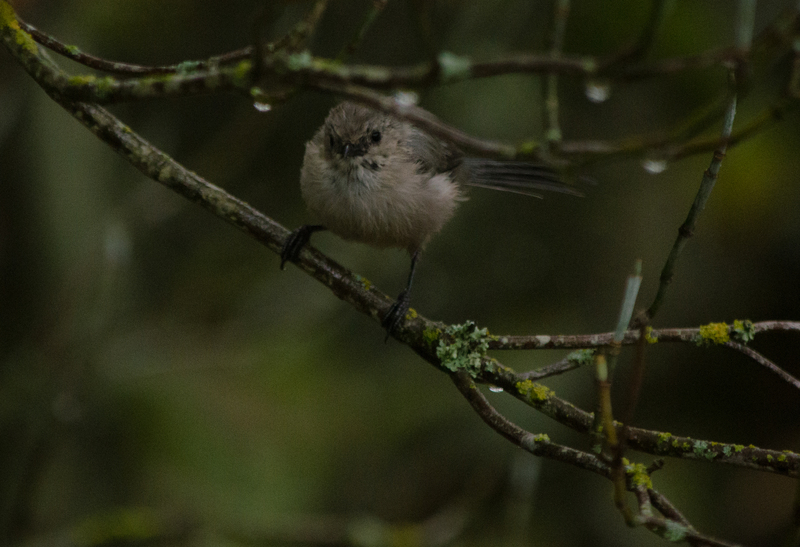 Today, it was just this one lonely male (identified by the almost-black coloration of his head; females are a more drab brown). 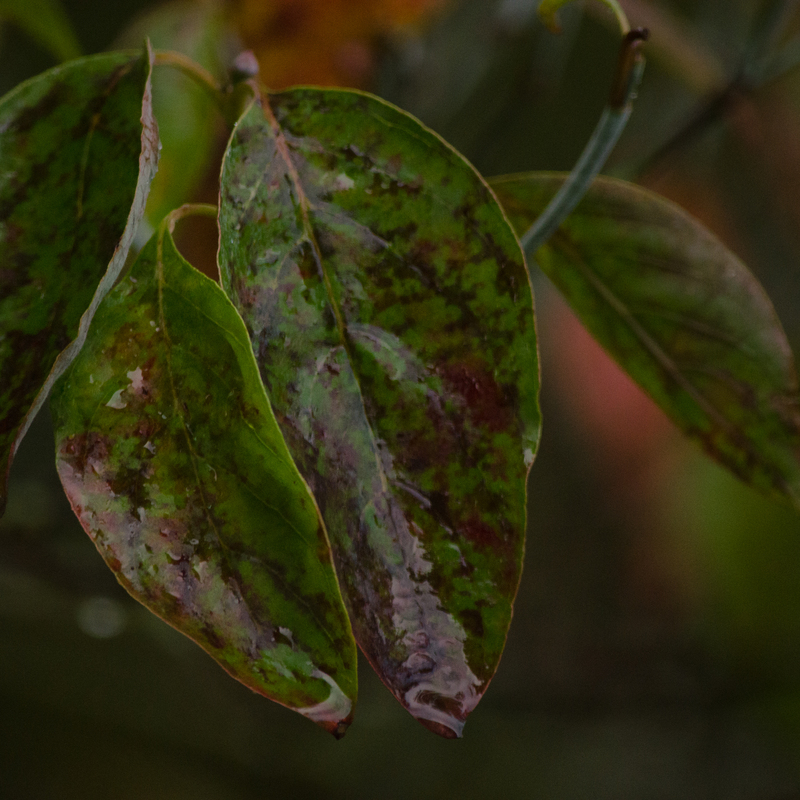 I did also catch a bright flash of color in the branches today. 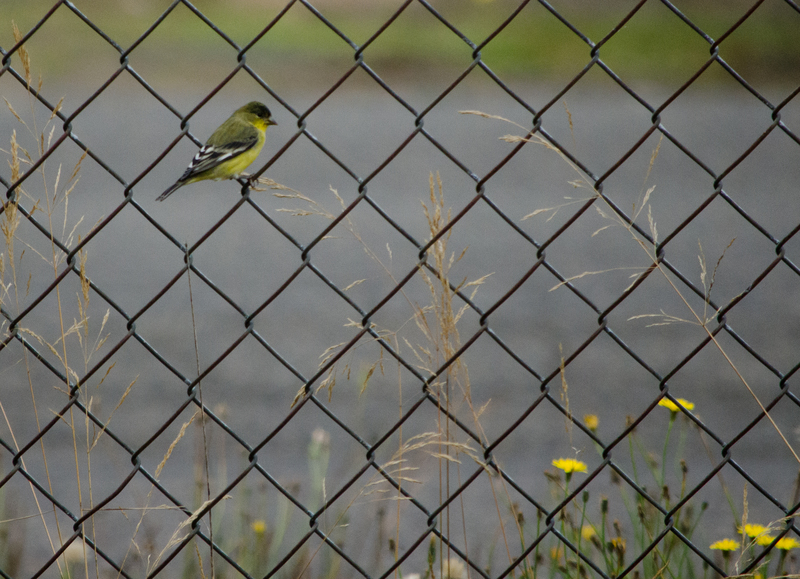 Although he didn’t stay long, a male Lesser Goldfinch came through. After a quick bite to eat at the thistle feeder, he perched on the fence to consider his next stop. 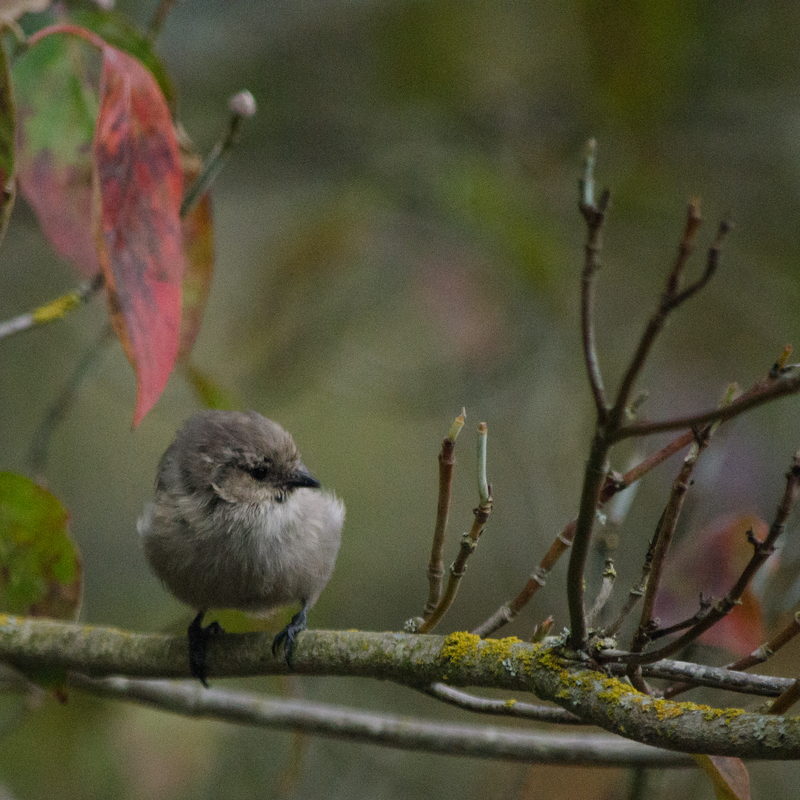 My most numerous visitors right now by far are the energetic little bushtits. 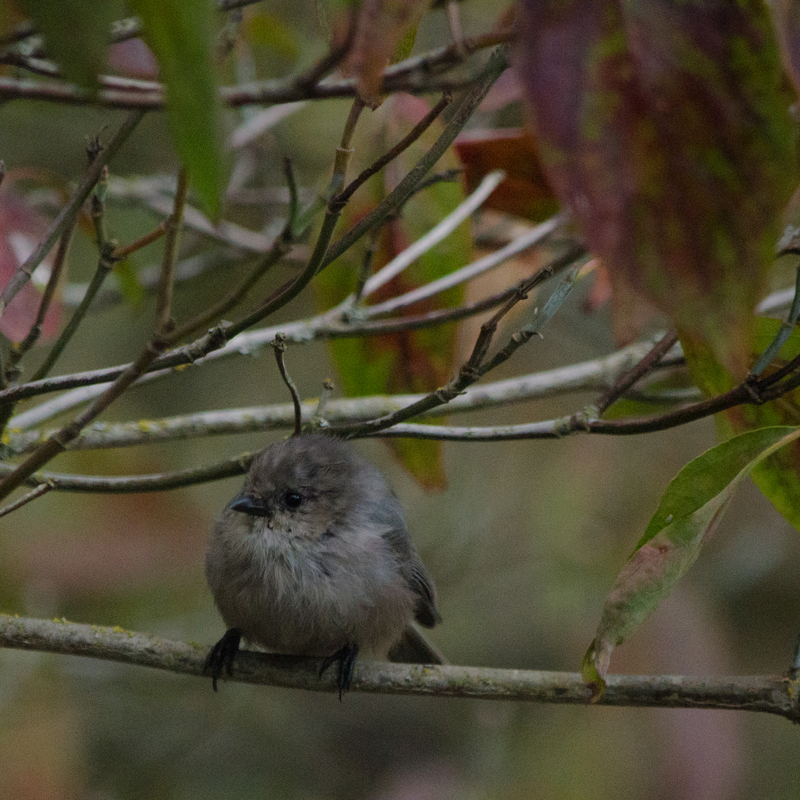 When they are all puffed up, they look like feathery gray ping pong balls with wings. During they summer, they are often seen in small bunches; however, once the weather turns they gather into much larger flocks, easily equaling twenty or more little birds. They almost never hold still except to eat and they will swarm a suet feeder from all angels. And just as quickly as they appear from seemingly nowhere, they are off again. I can guarantee they will be making future appearances here!